It seems like every other day now we either read, view or see another story about bullying. However when we think of bullying we often think of children and school yard taunting. But how many of us think about it in adulthood? You’d think but you’re an adult why wouldn’t you say something, stand your ground, you’re an adult after all. This seems like a common answer but this can be the last thing you can do if you’re confronted with the situation. As an adult, not even that, as a member of society who contributes to the world no matter how large or small your contribution may be you should not have to be subjected to work place bullying. There is a difference between a bit of advice or providing someone with the knowledge of how they can do a particular task differently or more efficiently and being a bully. Advice can be encouraging however calling someone derogatory names of implying that they are stupid to me constitutes bullying. This got me thinking we constantly go on about childhood bullying (and so we should it is a serious issue) but as we get older do we hide behind the shield of adulthood and act as if it doesn’t still occur? Have you ever been in that situation? What do you think? We’ve all heard the stories at some point in our lives of boy meets girl, boy falls hopelessly in love with girl, he woos her and they go off into the sunset to love happily ever after. Thank you Disney! While I’m not denying there would be occasions where some people experience the lives of fairytale characters for many more of us the cliche of kissing a frog (or many) before you find you’re prince is more applicable. So welcome to the anti fairytale where it takes much longer than 64 pages to find your prince and when you do he doesn’t intantly fall for your rapunzel like locks or fair as Snow White skin. Rather he engages in a game of cat and mouse where one day you think he is such a nice guy and the next day he has you questioning whether he’s even interested at all. Prince Charming might not be so charming after all. Never in all the pages did Cinderella ever question her Princes feelings, half the time she wasn’t even aware he existed until that fateful night. No one ever put doubt into her head. This was the perfect relationship however this is was not reality. Sometimes you experience more hiccups in the path of a relationship than losing a shoe. The Prince (or the man you thought was a Prince) can have you feeling insecure and pondering about what you can do to make him see all the great things that you two could be. But the truth of the anti fairytale is sometimes he just won’t or can’t see and just like Cinderella there is only a limited amount of time before the ball comes to an end. As she awoke a familiar yet unexpected sound greeted her. The rain lightly danced across the walls of the house as if to remind her that this shell she knew as her home was actually a barrier, a barrier that protected from the dangers of the outside world. But today was different, while she usually tried to see the positives out of even the worst situations today her mood was as bright as the gloom that greeted her when she opened her front door. Her pain consumed her. It wasn’t a physical pain, that would be easy to deal with, hers was an emotional pain. A pain that could be hidden underneath layers and layers of clothing yet one deep look into her eyes revealed it for all the world to see. Thoughts and her emotions fluttered through her mind so quickly sometimes not even she could keep up by the time she realised she had been sad she was alreaady angry. She wasn’t angry that certain events had happened to her rather she was upset at the wripple effects and how they forced her to change literally every aspects of what she knew, how she lived and herself. 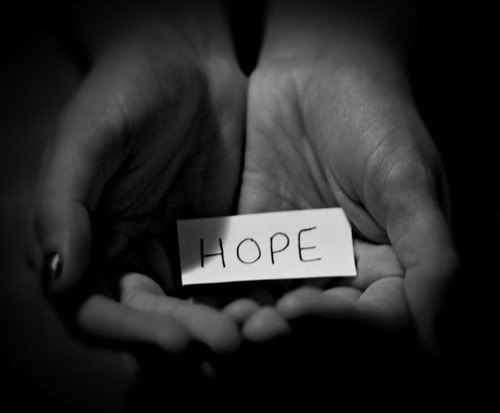 As she stewed on the events of her life she noticed a young girl looking at her and what she was writing and she saw it, saw the one thing no matter what happened to her that she could have, hope. For every problem she had there was someone out there with one worse, for every inch of pain she suffered there was someone who had suffered more. In that moment she knew that those shoes that adorned her feet were not new but that many had walked in them before her and unfortunately many more would after her. So even on the darkest days appreciate, love and cherish those you have and the life you lead for you never know what tomorrow brings. Every now and again we experience a lightbulb moment in life (as per the image above…..granted ours may be more figure of speech rather than literal) but it’s that little moment that we may or may not realise at the time that can totally alter our perception of a particular situation or person. It’s moments like these that can also teach us a lot about the type of person we are and the type of people we want to become. This is particularly evident in our relationships with others. Relationships can’t be avoided (although I’m sure we’ve all had a few that we wish we could) we have work relationships, friendships, family and romantic the list goes on. However sometimes there are those moments when you thought someone was different and it can really hurt our feelings when someone turns out to be another way. However it’s this moment where you can either let it break you or learn from it. You can’t be responsible for another persons decisions or choices however you are responsible for your own. Sure if someone constantly brings you down you have the choice to stay and let them continue to be a part of your life or you can choose as difficult as it is in that moment , and believe me I know, to let them go. Sometimes we hang onto a memory. A memory of who that person use to be and we don’t want to accept that it’s different now. People change and sometimes even though it hurts it’s better to accept this and let them go now then continue to try and only end up getting hurt more with time. Am I saying don’t be upset about? definitely not! knowing we feel hurt shows that we genuinely care. but it also teaches us so much about the type of people we are and want to be. Besides if we don’t have the bad experiences how are we going to know when we truly have it good? It’s experiences like this that make us better people and appreciate everyone around us not matter how good or bad the relationship we learn something from every person that walks in and unfortunately sometimes walks out of our lives. So to all the bumps along the road thank you for teaching how to handle the rugged terrain and appreciate the smooth parts of the journey!